Hats off to Dr. Sushan Ru, who earned her Ph.D. from Washington State University. Her advisers were Drs. Cameron Peace and Dorrie Main, both of whom she credits with spurring her interest in tree fruit breeding. Ru’s dissertation topic was Theoretical and empirical evaluation of efficiency of marker-assisted seedling selection in Rosaceae tree fruit breeding. The goal of her research was to facilitate wider and more successful adoption of marker-assisted seedling selection (MASS) by helping out with one of the most prevalent challenges: the difficulties in estimating cost and genetic efficiency of MASS compared to traditional seedling selection. 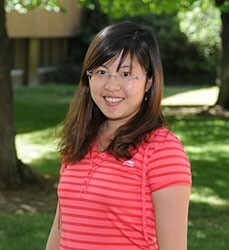 Ru plans to spend the next year as a postdoc at WSU with Dr. Dorrie Main, after which she hopes to continue working in areas related to quantum genetics and its applications in plant breeding. Congratulations to Dr. Paul Sandefur, who successfully defended his dissertation at Washington State University, entitled Enhancing efficiency in tree-fruit breeding by developing trait-predictive DNA tests. 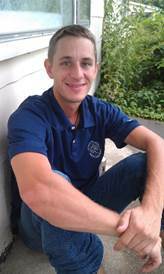 Paul has spent six years working on research within the RosBREED project, first earning a Master’s Degree with Dr. John Clark at the University of Arkansas before joining the program of Dr. Cameron Peace. “I’m very thankful to have had the opportunity to be a part of the RosBREED project throughout my graduate studies,” Dr. Sandefur said. 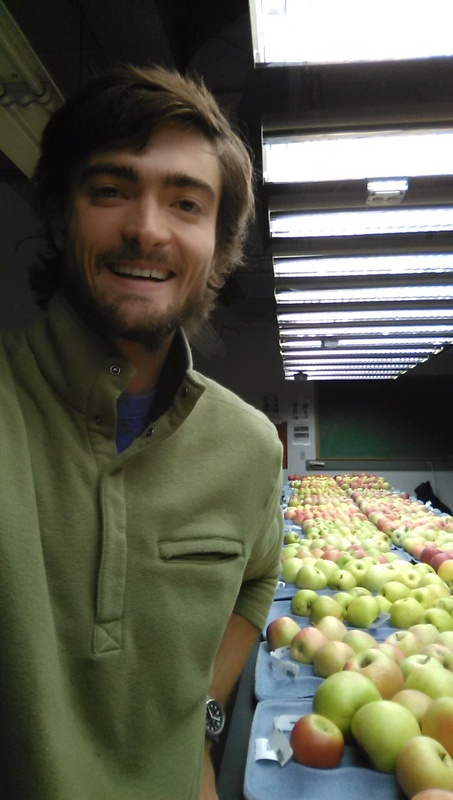 Sandefur’s post Ph.D. plans include continuing his work with peaches, apples, and sweet cherries as a postdoc at WSU with Dr. Cameron Peace and he said he hopes to continue working as a fruit breeder in academia after that. 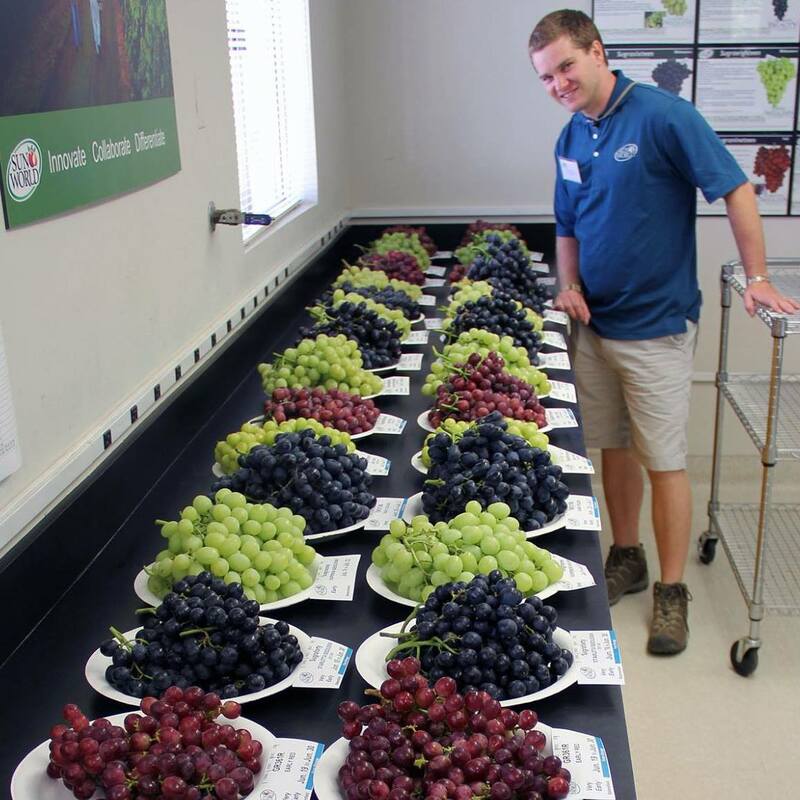 The newest edition of Fruit Growers News includes an article by Gary Pullano on the RosBREED 2 project. Pullano’s article provides a nice overview of the RosBREED 2 project, with quotes from Amy Iezzoni, Jay Norelli and Ksenija Gasic on the progress they’ve made improving horticultural quality and disease resistance. The FGN coverage also includes a pair of video interviews – one of Ksenija Gasic, found here, and another of Jay Norelli, found here. The full article can be found on page 38 of the April 2016 issue of FGN. Congratulations to Dr. Terrence Frett, who successfully defended his dissertation at the University of Arkansas. Dr. John Clark was his major advisor. Terrence’s topic for his dissertation was: Genetic Determinism of Xanthomonas arboricola pv. pruni (Xap) Resistance, Fruit Quality, and Phenological Traits in Peach and Incorporation of Marker-Assisted Selection (MAS) in the University of Arkansas Peach and Nectarine Breeding Program. Terrence said it was “a feeling of relief and joy” to successfully defend his dissertation, especially considering the amount of work he covered in his research. 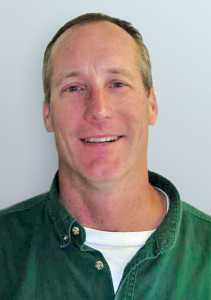 Currently Dr. Frett is a fruit breeder with SunWorld in Bakersfield, California. Even though verticillium wilt is not a primary target of RosBREED research, resources developed under the grant have proved invaluable for researchers seeking out sources of resistance in the strawberry malady. Kelly J. Vining, Ph.D, of Oregon State University, Thomas M. Davis, Ph.D., and doctoral student Lise L. Mahoney of the University of New Hampshire and Andrew Jamieson, Ph.D., of Agriculture and Agri-Food Canada were able to combine valuable strawberry data from the RosBREED Breeding Information Management System (BIMS) with other sources to illustrate relationships in strawberry pedigrees and identify sources of the resistance. RosBREED has a couple of other connections to verticillium research: Laima Antanaviciute, Ph.D., and Richard Harrison, Ph.D., of RosBREED partner institution East Mailing Research have also published research on QTL mapping of verticillium resistance in strawberry. BACKGROUND: The fungal disease verticillium wilt has been recognized as an obstacle to strawberry production since its initial description in 1931. The full potential of genetic resistance as a solution to this problem has yet to be determined or realized. OBJECTIVE: Our investigations are concerned with defining new sources of resistance to verticillium wilt disease in cultivated and wild strawberry germplasm, and with advancing genetic studies on the basis of resistance/susceptibility. METHODS: We screened 23 diploid, 1 decaploid, and 26 octoploid Fragaria (strawberry) germplasm accessions and cultigens for response to root-dip inoculation with Verticillium dahliae isolate V1. Pedigree relationships of 10 studied cultigens were examined. Crosses were performed between resistant and susceptible accessions. RESULTS: Variability in inoculation response existed within and between species at diploid and octoploid levels. Very or moderately resistant accessions were found within each of three diploid and three octoploid species. Moderately or very susceptible accessions were documented within F. vesca and each octoploid species. Segregation for resistance/susceptibility was evident in progeny populations. CONCLUSIONS: The verticillium wilt resistance ratings reported here and discussed in relation to prior studies adds to the body of publically available knowledge about sources of wilt resistance and susceptibility in Fragaria germplasm. Congratulations to Dr. Alejandra Salgado, Ph.D. from the University of Arkansas, a RosBREED student trainee (RosBREEDling). Her major advisor was Dr. John Clark, and her dissertation topic was “Applying Molecular and Phenotypic Tools to Characterize Flesh Texture and Acidity Traits in the Arkansas Peach Breeding Program and Understanding the Crispy Texture in the Arkansas Blackberry Breeding Program”. 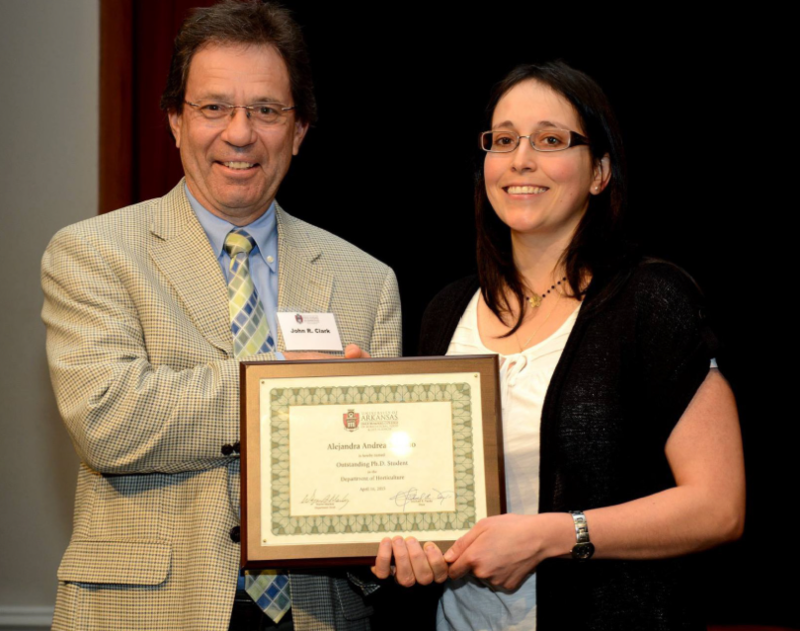 Alejandra was also awarded the Outstanding Ph.D. Student in the Department of Horticulture, University of Arkansas, 2015. Her future plans include returning to Chile to find a position as a berry breeder. Jack Roach, University of Florida, successfully defended his M.Sc. thesis and graduated on August 8, 2015. Congratulations, Jack! The topic of his thesis was “Introgression and Genetic Mapping of Resistance to Xanthomonas fragariae in Octoploid Strawberry”. This research was partially funded with RosBREED funds to conduct SNP genotyping and resulted in the prediction and verification of a locus related to X. fragariae resistance. Jack is planning on taking a semester off to bike and hike in Scotland and then plans to pursue a Ph.D. in plant breeding/genetics. Congratulations to Natalia Salinas, who successfully defended her M.S. thesis at Oregon State University. 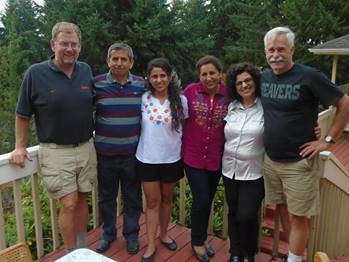 Chad Finn, RosBREED Berry Team Leader, USDA-ARS Corvallis and Nahla Bassil, DNA Testing Team Leader, USDA-ARS NCGR Corvallis were her major professors. Her thesis was titled: ‘Molecular Markers Associated with Perpetual Flowering (PF) and Soluble Solids Content (SSC) in Strawberry’. Congratulations Natalia! 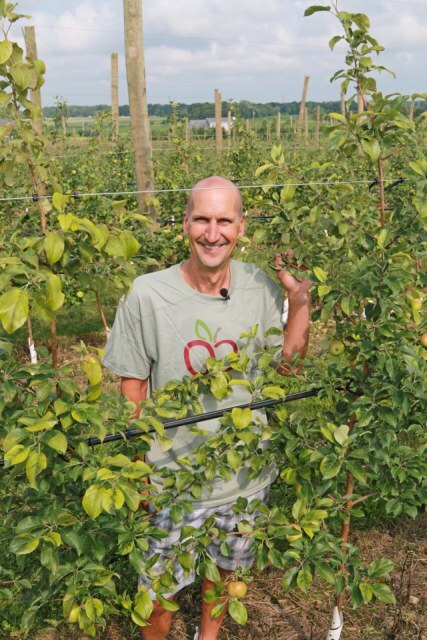 Congratulations to Bill Dodd, one of our stakeholder advisory panel members, for being named Apple Grower of the Year by American/Western Fruit Grower magazine! Jim McFerson, a Co-PD on RosBREED writes about what breeders and growers are doing to deal with climage change. Beeders are using genetic information to produce varieties with resistance to abiotic and biotic stresses associated with a changing climate.